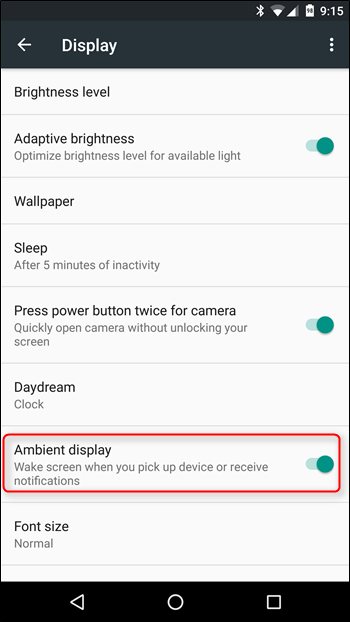 Back in Android 5.x Lollipop, Google released a new feature called “Ambient Display”—a tweak that shows notification information on the phone or tablet’s display when you pick it up or get a notification, without actually having to turn the display on. While this sounds like a neat feature, it’s not without its own set of…irritations. For example, the phone may detect movement in a pocket or purse as a “pick up,” which can result in unintentional taps on the display and execution of tasks—like pocket dials, for example. Fortunately, disabling this feature is quick and painless. The first thing you’ll want to do is jump into your device’s Settings menu. 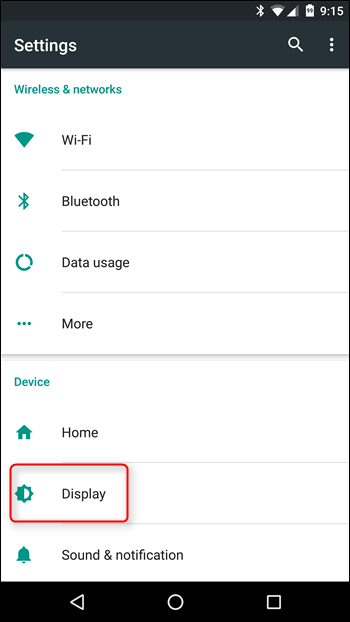 The easiest way to get there is to pull down the notification shade, then pull down once more to expose the Quick Settings menu. In the top-right corner, tap the gear icon. 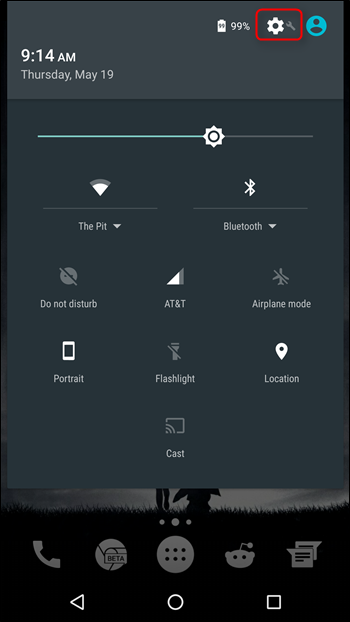 In the Settings menu, scroll down until you see the “Display” entry, then tap that. A little way down this menu, you’ll see a toggle for “Ambient Display.” Tap the slider to disable it. That’s literally all there is to it—one toggle, and all of your problems will go away. Well, maybe not all. But all of them pertaining to Ambient Display, anyway. Aside from potential “pocket taps,” Ambient Display can also be distracting if you work at a desk and get several notifications a day. For example, if you have a constant flow of email coming in, Ambient Display will activate every single time you get a new email (or any other notification), which can be incredibly annoying. It’s a good idea in theory, but in the real world I’m glad there’s an option to turn it off.